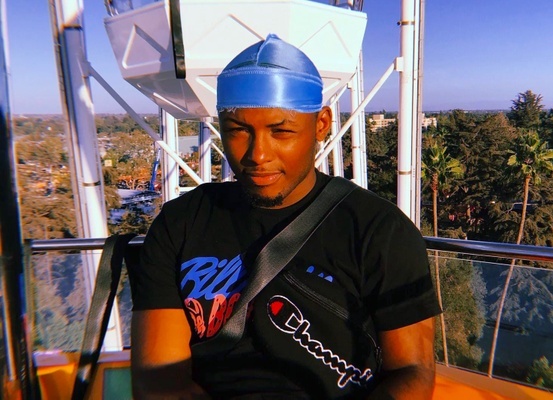 Guy Eugene Alford, a 20-year-old black man, was fatally shot on Wednesday, Sept. 26, in the 5100 block of Atlantic Avenue in Long Beach, according to Los Angeles County coroner’s records. Alford was inside a blue Chevrolet Impala in the parking lot of a Jack in the Box restaurant at East 52nd Street and Atlantic Avenue around 12:15 a.m. when he was shot in the torso, according to a news release from the Long Beach Police Department. He was pronounced dead at the scene at 12:25 a.m., according to coroner’s records. Long Beach investigators have not released any details about the shooting, and say they don’t have a motive. CBS-TV Channel 2 reporter Dave Lopez reported that he watched surveillance video from a nearby business that showed Alford in the drive-thru lane of the restaurant when another car pulled up behind him. Three people got out of the second car, he said, and one walked up to the driver's side window of Alford's car and appeared to fire a gun. The driver slumped over, Lopez said, and four people jumped out of Alford's car and ran away. 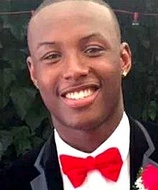 Alford lived in Hawthorne, according to coroner’s records, but he was a native of Inglewood who played football at Redondo Union High School in Redondo Beach and then Bishop Alemany High School in Mission Hills, where he graduated in 2016, according to an online fund-raising campaign to help his family. After graduation, he played football for two years at Long Beach Community College, where he was finishing up a few last classes. Alford's father, Guy Alford, told the Long Beach Press-Telegram that his son "was on a mission" to get his associate's degree in December, with the goal of someday being a nurse. During a vigil for Alford the evening he died, Long Beach’s head coach, Brett Peabody, described Alford as a “class act” who mentored other young men in the program, KTLA-TV Channel 5 reported. At the vigil, Michael Harvey described himself as Alford’s best friend since high school, KTLA reportd. Harvey said his friend was “the hardest working man I knew,” and simply in the wrong place at the wrong time. Anyone with information is asked to contact Long Beach Dets. Shea Robertson and Oscar Valenzuela at (562) 570-7244. Those wishing to remain anonymous should call Crime Stoppers at (800) 222-8477. — Jennifer Gandara Jan. 23, 2019 at 9:47 a.m.
— zubayr muhammad Dec. 4, 2018 at 12:24 p.m.